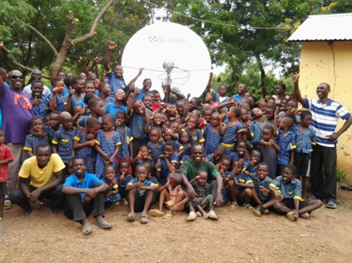 SkyVision Global Networks Ltd, a leading global communications provider, today announced the recent donation of its satellite connectivity solutions to further support students at Ghana’s Crossover International Academy. SkyVision’s donation included upgrading the academy’s communications equipment with the support of VT iDirect, and providing Internet connectivity for an additional year, enabling students to access online educational programs and related e-learning tools. Antonio Edmundo, 23 years old, is currently the director of the Movitel’s district center island Ilha de Mozambique, Nampula province. Just two years ago, he was only a house helper in the office this business center of Movitel, SA – a joint venture between Vietnamese company Viettel and Mozambique’s SPI Company. Antonio's journey from a house helper to a master might surprise many people; it’s just like a dream coming true! Movitel, a joint venture between Vietnam’s telecommunication Viettel Group and Mozambique’s SPI, has won the Mobile Innovations Awards for enterprises in the Europe, Middle East and Africa (EMEA) region. This is the third consecutive year in a row that Movitel has been selected for the coveted award for its achievements and innovation in mobile technology. This category presented to Movitel is not open for individual entries but considered by the Judges based on all the shortlisted entries in the awards. Movitel has outpaced many other strong telecom and electronic commerce companies to win the award thanks to its unique mobile operating solution in Mozambique initiating from the concept that telecom service is a kind of commodity that everyone needs. The solution is to popularize telecom services to every population, regardless of their locations or income conditions. This investment strategy has been successfully applied by Viettel in many telecommunications projects in different countries. There are different business models applied by telecom companies. For instance, Vodacom follows a traditional operation method by building up the basic network infrastructure, then holding marketing and sale activities focusing in potential areas of customers. Another example is Airtel, which pursues an infrastructure sharing model for its telecom projects in many countries. As being late entrant to the Mozambican telecom market, Movitel has chosen to invest on a strong network infrastructure and distribution channel throughout the country to provide services nationwide. While urban market with 40% total population witnesses a fierce competition among operators, the rural areas seems to be neglected. Therefore, Movitel has endorsed an initiative focused on offering full telecom services in rural and underserved areas in Mozambique, including mobile, fixed phone and Internet. The company has built up a great network infrastructure of 2,800 towers – accounting for 50% nationwide, 25,000km fiber optic cable – accounting for 70% nationwide. It has a widespread supplying chain to every village with 153 shops, 12,600 agents and points of sales and nearly 4,000 direct sales staffs. Especially, in order to take care of customers in the case of scattered and low-density population like in Mozambique, Movitel applies a door-to-door model. With Movitel, local people can be served and cared at their house instead of walking far away to reach the shop or agent. This unique way not only helps Movitel spread out its services quickly but also gaining strong support from the local people thanks to the jobs and services Movitel brings to them. As a result of this, it is currently dominating the rural areas with more than 80% of market share. Besides, the low and flexibly tailored tariff plan for different customers also makes it easier for the people to access telecom services. Furthermore, with an aim for sustainable development before earning profit, Movitel has organized many social programs including free Internet broadband to schools, subsidizing handset cost for rural users, offering special packages designed to support low-income users such as farmers or students. 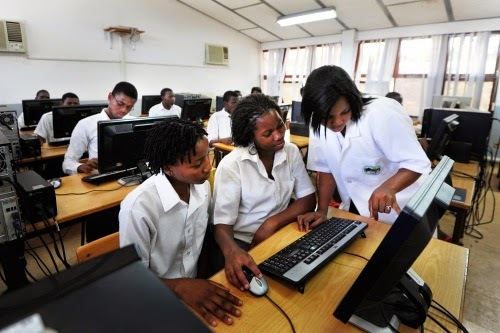 By deploying a mobile network infrastructure in rural and remote areas; providing free Internet to 2,500 schools; and generating nearly 20,000 jobs in rural areas; Movitel has considerably contributed to uplifting the telecommunication status of the country and creating the field for e-commerce in Mozambique. After 2 years, Movitel’s initiative has helped increase the telecommunications coverage in Mozambique from 60% to 85% nationwide and from 35% to 70% population. Mozambique is now among the top three nations in terms of fiber optical cabling infrastructure in Sub-Sahara Africa. Consequently, Movitel has set the right platform, which is mutual beneficial for customer and itself. Movitel’s initiative is leading in increasing their subscriber base thus raising their market share. Customers are benefitting from a strong and reliable network available countrywide, majority of who will be loyal to Movitel’s brand due to their strategy and effort to reach them. For these reasons, the switching rate from Movitel’s competitors to become its customers can be expected. This can be proved by the number of 5 million subscribers (making up 32% of market share) it has achieved since its inception in May 15, 2012 and it is poised to take the lead in the market in the coming time. Total revenue in 2013 is US$154.5 million, bringing the company US$8.8 million profit. The significant success of Movitel has proved the unique but effective investment strategy of Viettel. Affiliates of the group in Cambodia and Laos, respectively Metfone and Unitel are leading the market in terms of subscriber and revenue. Others including Natcom in Haiti and Telemor in Timor-Leste are taking the second positions in the markets and promisingly opting the first position within this year. MoboFree.com - the leading African social marketplace, today announced that the total volume of items currently for sale in its marketplace is worth USD 526 million and is expected to reach USD 1.5 billion by 2015. 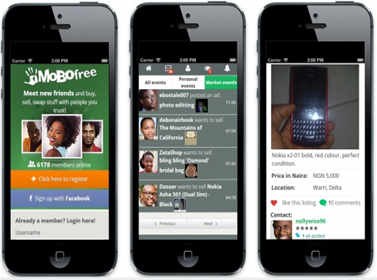 With 3.3 million registered users, including 2 million in Nigeria and a strong footprint in Zimbabwe, Uganda and Ghana, MoboFree.com is among the largest and most successful mobile social and trusted classifieds platforms in Africa. 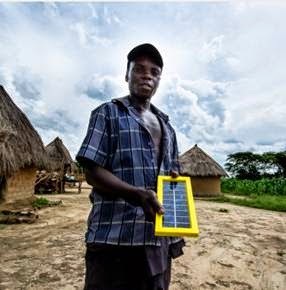 World Panel Zambia Ltd. launched the durable World Panel solar panels that charge mobile phones as fast as a wall plug. Held at Lusaka’s Taj Pamodzi Hotel, the launch was attended by senior Zambian government officials, COMESA free-trade group leaders, US embassy officers, African Development Bank officials and the CEOs of major Zambian mobile operators. The launch celebrated the first container of World Panels that arrived in World Panel Zambia’s Lusaka warehouse.